This documents holder is part of a limited series made by using the protecting banners of the Queen’s House through the restoration works. Hand-picked and cut, each piece in this collection is unique. 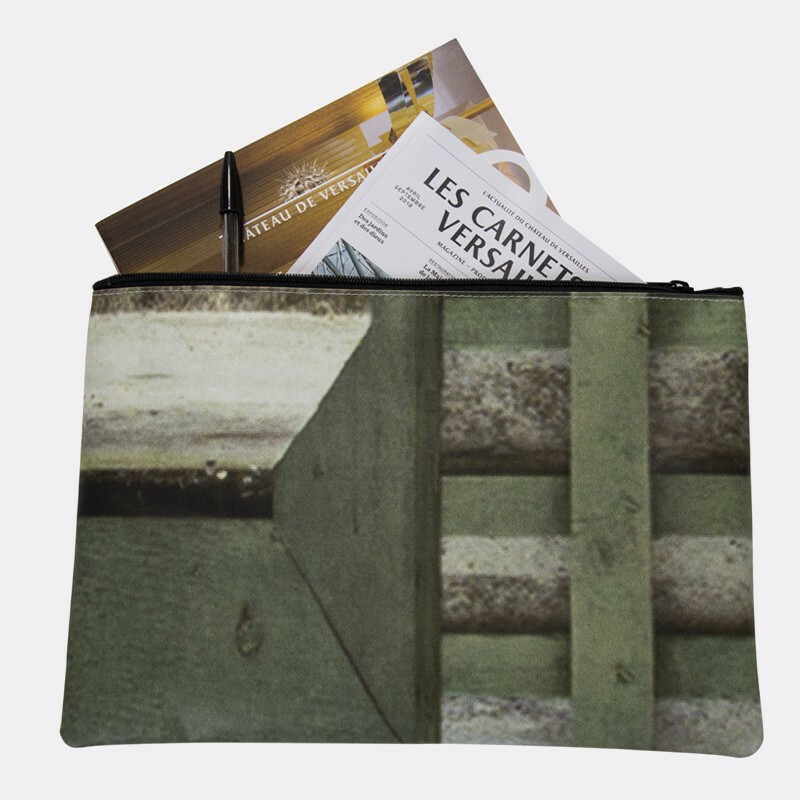 Made entirely from recycled materials, it has a lock zip in metal on all its width. Its large format makes it suitable for everyday activities, evening exists or travel times. Between 1783 and 1787, The Queen's Hamlet was built for Marie-Antoinette, based on an idea by the painter Hubert Robert. It was then constructed and decorated by Architect Richard Mique. Due to the dilapidated condition of the interior and exterior layouts, which until now could not be opened to the public, a restoration work had become urgent. These documents holders are manufactured by the eco-design company Bilum in workshops specialising in saddlery, leather goods and luggage. Apart from being sponge cleaned on each side, the exhibition banners received no further processing. You can find on the Online Boutique other models also made from our banners for “The Queen's House".